Hello ladies! 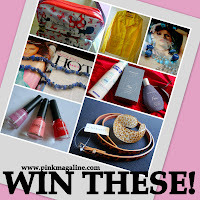 As I promised, I am now giving away some fab items in celebration of Pink MagaLine’s first anniversary and my 31st birthday. This blog is not earning as much as my other blogs, but being the humble owner, I even feel obliged to pay forward all the good things that happened both in my blog life and personal life the last 12 months. 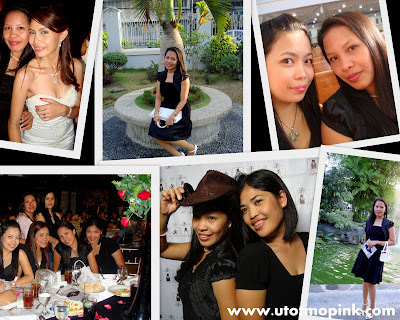 I am thankful that I was able to attend blogging events, media launches, and press releases, meet new people or even celebs, and learn from those experiences while at the same time, having fun with my fellow bloggers. I am also grateful being surrounded by real friends, a bunch of caring family and relatives, a loving husband, and a wonderful daughter. Most of all, I am grateful that God gave my family lots of blessings, so that we could pay debts, invest a bit for the future, go on a Hong Kong tour, and visit hubby’s family in Istanbul. 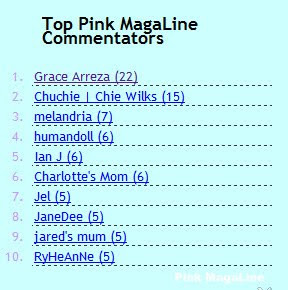 Google Statistics shows that 25% of Pink MagaLine readers come from foreign lands. With that, I am giving everyone the chance by opening this giveaway worldwide. Here are the prizes at stake. 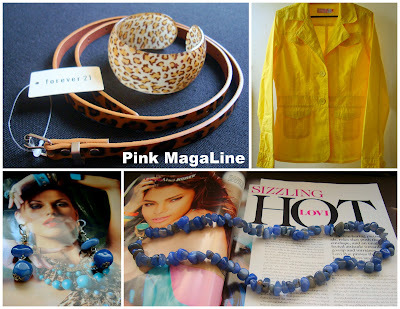 Clockwise: A yellow jacket which is perfect for the color blocking trend, lapis lazuli necklace and earrings set (I used this jewelry JUST ONCE, but had it cleaned already), Forever leopard thin belt, and leopard bangle. 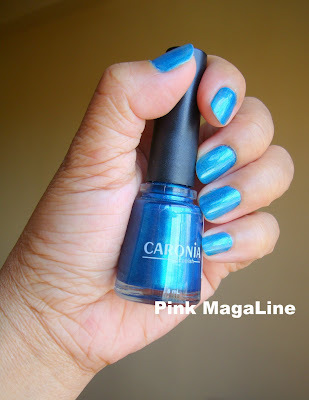 Clockwise: Caronia nail polish in cashmere, tea rose, and baby pink, Minnie vanity kit, Nivea deo, and Penshoppe Free eau de toilette. 7. Comment to this post using the pattern below (one comment per person only). There is a corresponding point for each task, so one has a freedom to choose whichever task/s to follow. A participant can get a minimum of 1 point and maximum of 10 points to enter. 3. Drop comments anytime from June 1 to June 30, 2011 (each comment should be at least a sentence or two). 4. Be the Top Commenter for the month of June. 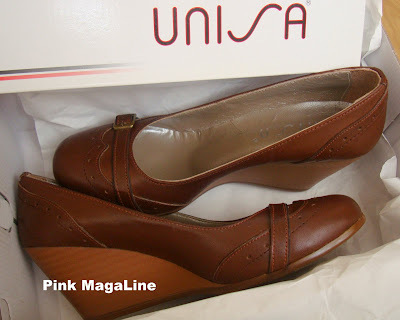 Again, this giveaway is open internationally and will run from June 1 to June 30, 2011. The winner of the fashion set will be chosen through random.org., while the winner of the beauty set will be displayed automatically by the Top Commenter Widget located at the lower right part of this blog. Both winners will still be announced on July 1, 2011 at 10 AM (GMT +8:00 Manila). That's all. Good luck everyone. Muah! I was at Istanbul Forum with hubby, my daughter, and sister-in-law to do a spring shopping. When I saw this top from Collezione, I immediately grabbed my size and tried it. 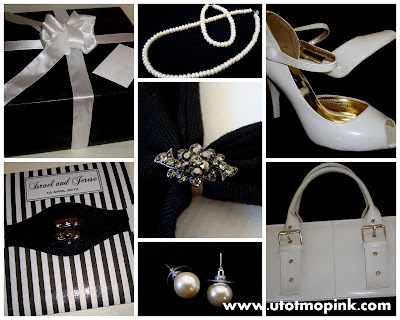 It is uncommon for a Filipino bride to choose black and white as a wedding theme or motif. The color black means sadness or the color of mourning. For most of us, it is something that we'll only wear to a funeral, Halloween or rock concert but never on weddings. However, trends keep on changing and people become more open-minded as time passes by. 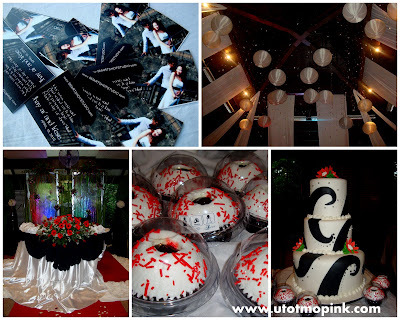 Last month, I attended a black and white-themed Wedding. I was excited because I've never been to wedding with such a theme. In the photo below, you can see the gift that I gave the newlyweds which I personally wrapped, following the couple's motif. 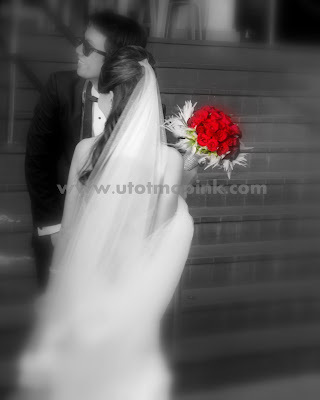 The wedding ceremony took place at an Iglesia ni Cristo church in Cubao. The reception followed at the Oasis - The Pavilion in San Juan. Attendees were the couples' families, friends, and other relatives. Yes, the bride added some touch of red to the theme, so it won't be boring. Black and white plus red was just fabulous. Don't you think? My friends and I had so much fun posing at the photo booth. 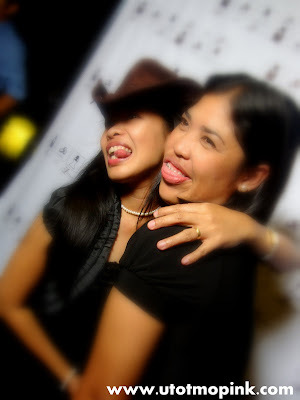 We took a lot of funny and wacky photos. This one I think is the coolest. NOTE: This post was originally published in my old blog, utotmopink.com, dated May 4, 2010. Stories about Manny "Pacman" Pacquiao's newest victory over Shane Mosley and the heiress meeting the pound for pound king and his wife Jinkee during the post-fight conference was all over the news almost 2 weeks ago. 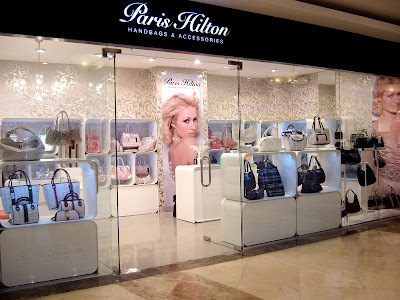 As a Paris Hilton follower on Twitter, I was able to view her TwitPic, but did not bother blogging about it since I was still feeling tired and lazy from our Istanbul - Manila trip. Paris Hilton shaking hands with Pacman. This photo is sweet. Congratulations again Manny! Hey Paris, is she your newest BFF? The rich and the famous, eh. And, up there is a screenshot of Paris Hilton's twitter posts. I wonder if she's coming to the Philippines this very month to witness the opening of her store in Megamall. According to her website, already three of her handbag and accessories store are opened in the country. One is Robinson's Place Manila, another one in Newport City Mall, and the newest is in Abreeza Mall in Davao City. Hmmm.. I guess I'll have to check one of her stores soon. Might as well add it to my favorite list. Hahaha. Last fashion week, models of Forever 21 walked in bright and colorful clothes. Some of them are monochromatic and complimentary, others are contrasting colors. Just look at these photos from the runway show. Very much alive and fun, right? I used to dress in dark hues like black, blue, and teal. I just gradually added colors into my wardrobe. Red at first, then pink when I gave birth to my daughter. Now, I have a lovely pile of colors in my closet, but honestly, I haven't tried color blocking yet. I mean, I wanted to try it. I guess I was just too afraid to fail in putting them together. After seeing the Forever 21 Holiday 2011 Collection, I told myself that I really should try color blocking soon. Oh well, just expect some outfit post next time. I hope I will be able to pull it off. Hihi. 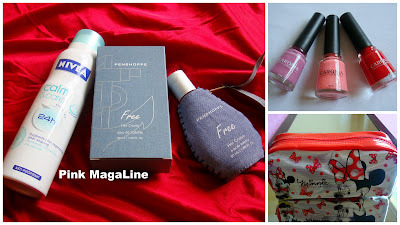 Wondering what's going to be in style this coming holiday 2011? Penshoppe's TrailBlazer will tell you. Here are some of the teaser photos. What do you think? Will post more photos from the Philippine Fashion Week later. Muah! It's been a little while since my last post. I missed blogging already. I know I should've posted this one on Mother's Day. I got really busy, so I failed to do it. Anyway, for all the mommies that I know, mommy bloggers that I am close with (you know who you are), this is already a week late, but belated Happy Mother's Day! I hope you enjoyed that sweet day and received a gift of your wish. This is me with my daughter in Kadikoy, a district of Istanbul which is located on the Asian side of Turkey, while visiting hubby's relatives. That day was sunny and a bit hot. I guess, the start of spring already. We finally said goodbye to our leather jackets and boots. We were still in our knits and stockings, though. What I wore that day? Just a random pullover from Istanbul and my favorite Penshoppe Biker Jeans. Will try to grab something to eat now. More updates later. Good day everyone! A few days passed since the end of Istanbul Shopping Fest, I was still able to see a few stores that say “indirim” or SALE in English. My favorite pair of brown leather shoes already expired, so I am very happy to finally find a replacement to it the first time hubby took me to Forum Istanbul, a popular mall here in Turkey. Again, thank you so much Bebegim. So love it. Muah muah muah!